Style and individuality is why you own the car you do! 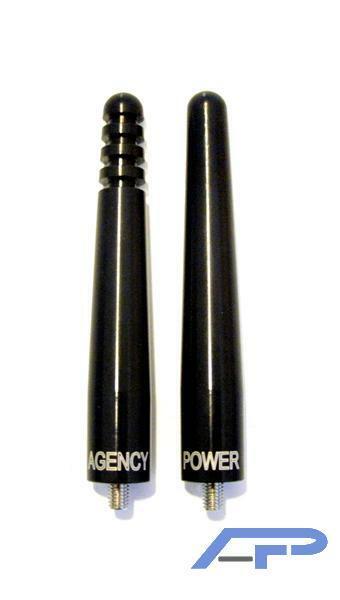 Agency Power has released this finned style&nbsp;shorty antennas to fit your 2008 and up EVO X.&nbsp; The all CNC machined aluminum antenna is anodized black with the Agency Power name laser engraved at the base. A new steel set screw is provided to allow easy replacement of the factory unit. The antenna is approximately 3 in in length and inch in diameter. The bottom is beveled to fit over the stock component. Long term testing has shown no effects with the vehicles radio reception from the shorter length and aluminum material.